Network for Good powers more digital giving than any other platform. They provide nonprofits, corporations, and software developers with simple solutions to power the good they do with supporters, employees, and consumers. 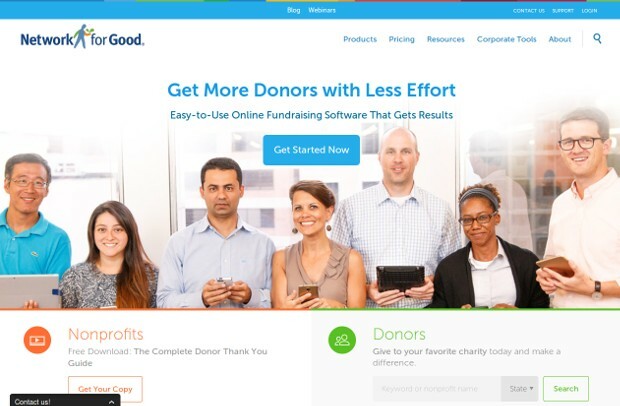 Here’s how it works: If you’re a nonprofit, they offer a suite of services that helps you raise money and reach more donors online – plus the training that will make you an online fundraising star. If you’re a company, they can enable your employees or customers to give to any charity on your site, social networks or mobile devices. They can also set up a micro-site for your organization or power your rewards programs with charity gift cards. If you’re a software developer creating innovative ways to give, the platform can process, track, and distribute donations to any charity. And if you’re a donor, they make it easy to support your favorite charities – just choose from any of over 1 million! Since 2001, they’ve processed over $1 billion for over 100.000 nonprofits.